POWERFUL LIBYAN COMMANDER SEIZES VITAL OIL PORTS | "Global Possibilities"
SHARM EL-SHEIKH, Egypt — Clashes erupted in Libya’s oil crescent on Sunday as fighters loyal to a powerful eastern military commander fought a rival militia aligned with the U.N.-backed unity government for control of the nation’s lucrative petroleum facilities. By Sunday evening, a spokesman for Gen. Khalifa Hifter said his forces had seized control of Ras Lanuf and Sidra, among Libya’s largest oil ports, and were fighting for control for Zuwaytinah. There were also clashes around the nearby town of Ajdabiya, Ahmed al-Mismari, the spokesman, told the LANA news agency, widely seen as close to a rival government in the east aligned with Hifter. A spokesman for the Petroleum Facilities Guard, the militia that controlled the ports for months, denied the claim but acknowledged that they had come under attack Sunday morning. 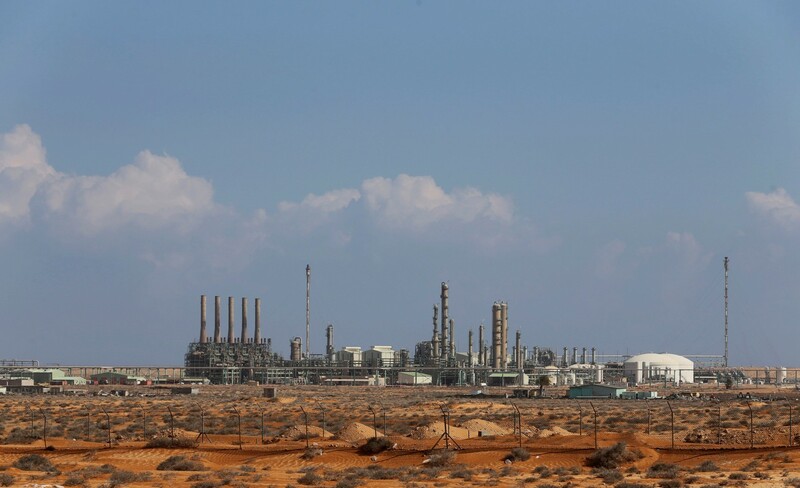 The state-run National Oil Corp. told Reuters that Ras Lanuf and Sidra were under the full control of Hifter’s fighters while Zuwaytinah was contested. Sunday’s assaults triggered fears about a wider battle over Libya’s oil resources — the nation has the world’s ninth-largest oil reserves — undermining its ability to restart production and bring in revenue vital to reconciling rival militias and reconstruction. Peter Millett, the British ambassador to Libya, tweeted that the reports of “heavy clashes around the oil crescent” were “worrying.” The fighting arrived as Muslims around the world celebrated Eid al-Adha, the three-day Islamic holiday that began Sunday in many countries. “#Eid should be a time of peace and reconciliation not fresh conflict,” Millett wrote. Oil has been an attractive prize since Libyan dictator Moammar Gaddafi was deposed and killed in the Arab Spring uprisings five years ago. As Libya plunged into civil war, the fight over oil became a stark sign of the fragmentation of political, economic and military power in the country. Before Gaddafi fell, Libya was producing 1.6 million barrels of oil per day. Today, oil production stands at about 360,000 barrels per day; other estimates place it around 200,000 barrels a day. Hifter, a former Gaddafi ally turned foe who lived in exile in Northern Virginia for nearly two decades, is opposed to the Western-backed unity government. He has rejected attempts to integrate his forces into a national army and is widely seen as one of the main obstacles to creating a unified Libya. Sunday’s attacks will probably deepen divisions among Libya’s militias. The Petroleum Facilities Guard had struck an agreement with the unity government to end its blockade and resume exports of oil from Ras Lanuf, Sidra and Zuwaytinah. If the ports are under Hifter’s control, and remain so, it could affect the unity government’s survival, its ability to unify and rebuild Libya, and its fight against the Islamic State and its aspirations in North Africa.